Juan van der Hamen was a member of the royal Guard of Archers in addition to his activities as a painter. Little is known of his training, which probably took place in Madrid.With regard to still life, the genre in which he was particularly admired and known, he was also influenced by the work of the Toledan artist Sánchez Cotán and by innovations arriving from northern Europe. Van der Hamen received his first official commission in 1619 to execute a still life with game for Philip III for the decoration of the Palacio del Pardo. In addition to his highly distinctive still lifes, Van der Hamen also produced history paintings and portraits of which a good example is the Portrait of a Dwarf in the Museo Nacional del Prado, Madrid. His work was highly esteemed by the leading collectors of his day, and the artist was obliged to open a workshop involving the collaboration of pupils and assistants, a fact that explains the uneven quality of his work. The present still life entered the Thyssen-Boremisza collection in 1935 from the De Frey collection in Paris. The first two catalogues of the Collection published it as a work by Francisco de Zurbarán, an opinion shared by Mayer who wrote an authenticity report on the canvas in 1930, five years after its acquisition. 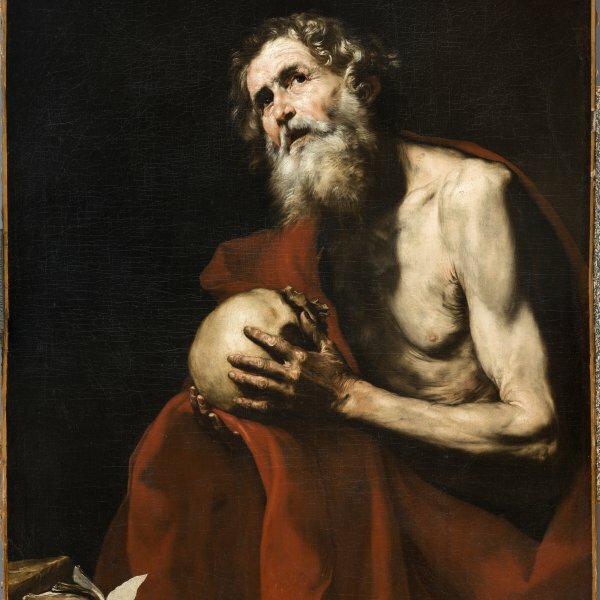 In 1958 César Pemán published the painting with a tentative attribution to Juan de Zurbarán, son of the celebrated painter, while in 1969 Rudolph Heinemann finally gave the work to Juan van der Hamen y León, repeating the opinion expressed by Charles Sterling who had compared the canvas to the artist’s Still Life with Sweetmeats and ceramic Vessels in the National Gallery of Art, Washington, signed and dated 1627. In the present composition, Van der Hamen abandons his use of the “Venetian window” and arranges all the objects on the same level, aligned on a plain surface in which the light strongly creates and defines the forms and volumes. The objects chosen are simple ceramic, glass and wooden vessels and containers, arranged in two asymmetrical groups that are separated in the centre by a small heaped pile of sweetmeats and biscuits. The simple, austere mood of the composition is achieved not just by the arrangement of the chosen objects but also by the sense of empty space and air around them.Van der Hamen creates his image from simple diagonals along which the objects are arranged and which are emphasised by colour, principally a luminous white and an intense red. The artist was careful in his choice of objects, which include Venetian glass, terracotta from Tonalá in the province of Guadalajara, New Mexico, and of the sweetmeats and biscuits that are sprinkled with sugar. 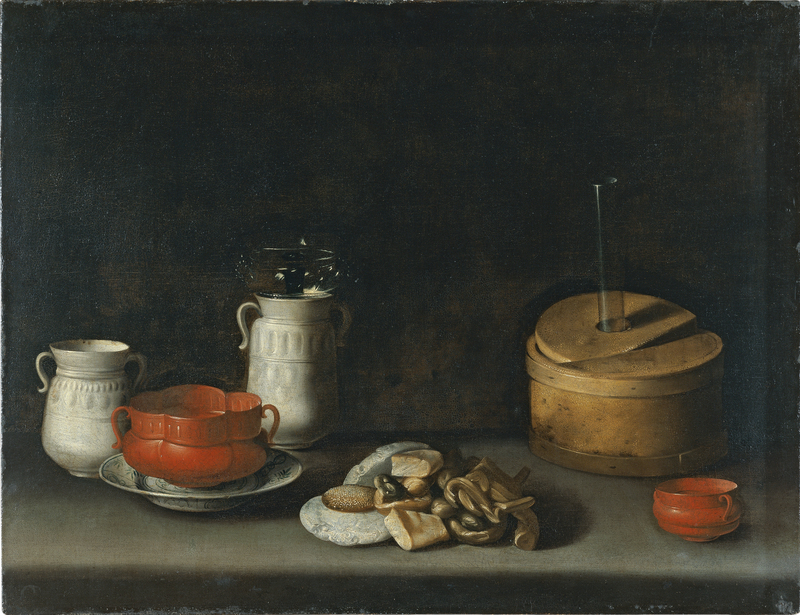 These sweetmeats constitute one of the most distinctive and appealing elements in his still life paintings.